On Tuesday, I reviewed some of the non-potable last-minute gifts . Today, the booze. I refuse to get out and about today. I braved the store yesterday (braved is the correct term) but for those of you that are still wondering what to bring to your hosts or to toast with your family, look no further. Participating in the Snooth articles this year has been a great gift for me. The special occasion wines came out just before Thanksgiving, the holiday wines under $15 edition came out earlier this week. Both are great resources. Wines from every region, a wide-variety of grapes, something for everyone. Choose your price point and voilà…suggestions galore. Cape Classics came out with a cute promo for gifts, choosing wine by personality. They sent me samples of The Trendsetter, The Francophile, and the Fashionista. While only one of those descriptors holds true, I can say they are truly tasty wines. In typical form, I still have not opened the 2012 Domaine Vrignaud Chablis 1er Cru Fourchaume Vielles Vignes (Francophile), still holding out for the perfect pairing opportunity which will be our Christmas Turkey. The others were delicious so I feel confident sharing the gift guide pre-maturely. I did try the 2011 Bartinney Cabernet Sauvignon* ($25) and the 2014 DeMorgenzon Reserve Chenin Blanc* ($35). The Cab was vibrant in the glass, cherry red and alive. What started as a nose of blue fruits upon opening developed into layers of leather and cherry, cinnamon stick and cedar, bay leaf. The Chenin was rich. Heirloom apples and stone fruit, citrus peel and honey, floral and zesty. Both firm and feminine, weighted and light. A beautiful wine. I was looking for bubbles yesterday. For the holidays, when you could be going mimosa or straight up, I try to choose something in between. Cava is a great value and both Codorniu and Segura Viudas make delicious bubble ranging from $8-25ish. The middle of the road sparklers are the Segura Viudas Gran Cuvée Reserva* ($14) and the Anna series from Codorniu. 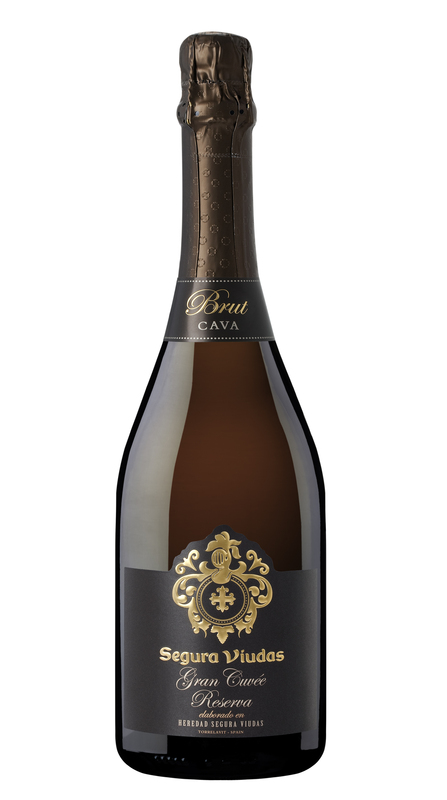 The Segura Viudas Gran Cuvée Reserva is the palest pear, citrus and Golden Delicious apple with a touch of honey. Versatile and priced to share, a great holiday sparkler. As an additional gift, check out this beautiful version of Auld Lang Syne as performed on flutes by Indie Artist Eleanor Friedberger. On the other end of the flavor profile, 2011 Cepa 21 Tempranillo* ($25) by Bodegas Emilio Moro. I was very impressed by their wines earlier in the year for a virtual tasting, this was no different. The new project of Javier and José Moro combines the tradition and respect for the vine with a desire for creating approachable wines, ready to share. I was struck first wit baking spices, cinnamon stick specifically. Black plum in color and composition, structure tannins, white pepper and a long finish with hints of toasted coconut. Gift worthy, indeed. I will be present, enjoying the moments with my family. I will be grateful for each person in my family, all together for Christmas for the first time in years. I will be graceful with my home and myself, allowed to sit and enjoy. I will be reverent, reminded of the true meaning of Christmas. Wishing you a Merry Christmas and hoping all will be calm (relatively) and bright. Cheers! Merry Christmas Alissa, to you and the family!